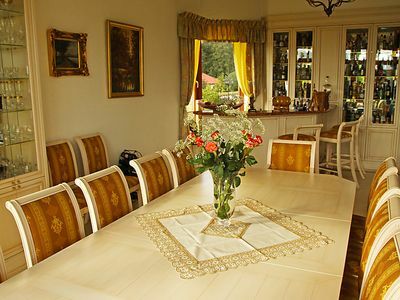 Polanowo 2 km from Powidz: Comfortable villa "Polanowo", built in 2000, surrounded by trees, meadows and fields. 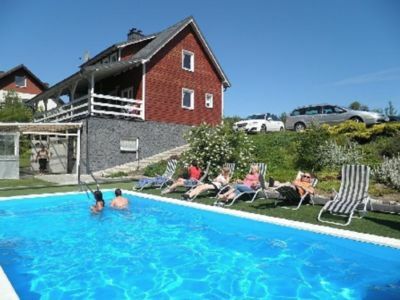 Outside the resort, in a quiet, sunny, elevated position, 50 m from the lake, direct access to the beach. 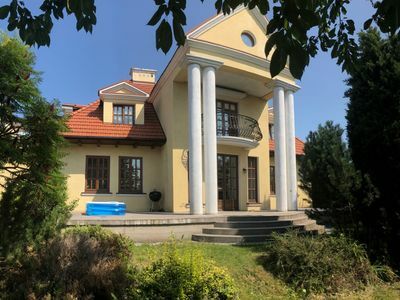 For shared use: property 25'000 m2 (fenced), beautiful garden to relax. Volleyball, arbour, terrace, garden furniture, barbecue, children's playground. In the house: internet access, burglar alarm system. Available: bicycles (5), canoe, boat. Parking (for 7 cars) on the premises. 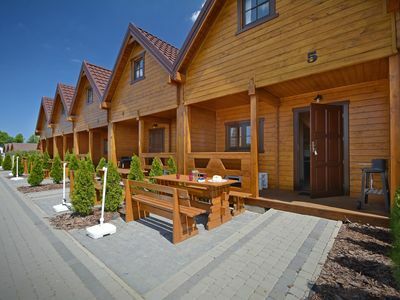 Shop 1 km, grocery 1 km, supermarket 1.2 km, restaurant 1.2 km, bus stop 1.2 km, railway station "Powidz" 1.2 km, sandy beach, bathing lake 50 m. Golf course 1 km, tennis 1 km, riding stable 5 km. 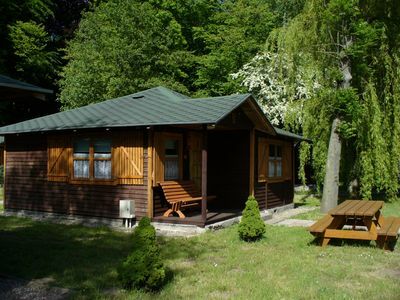 Nearby attractions: Gniezno 30 km, Kazimierz Biskupi 40 km, Licheń 50 km, Biskupin 60 km, Poznań 80 km. Well-known lakes can easily be reached: Jez. 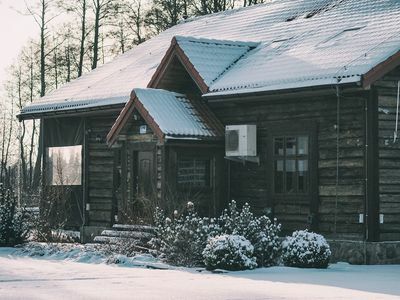 Powidzkie. Please note: car recommended. Fishing [permit required]. The owner lives on the same property. 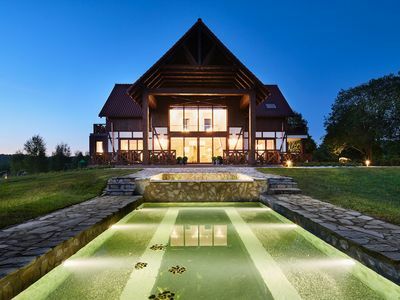 7-room villa 410 m2 on 2 levels. Tasteful and stylish furnishings: entrance hall 9 m2. Exit to the garden. 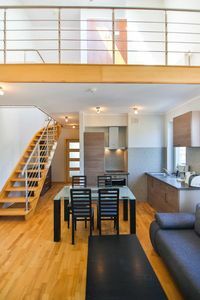 Open large living room 66 m2 with panoramic window with open-hearth fireplace and digital TV. Exit to the garden, to the terrace. Dining room 25 m2. 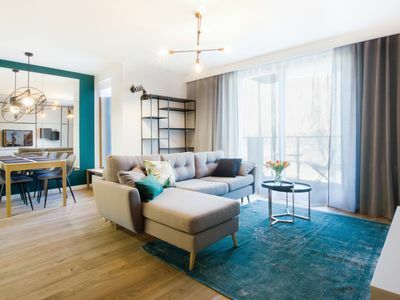 Playroom 22 m2. 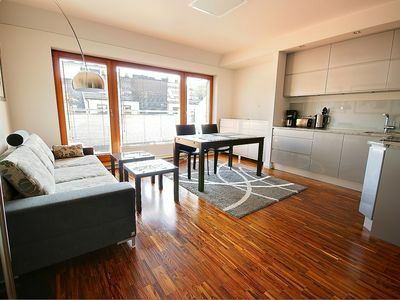 1 room 32 m2 with panoramic window with 1 double bed (200 cm, length 200 cm), bath/bidet/WC and whirlpool. 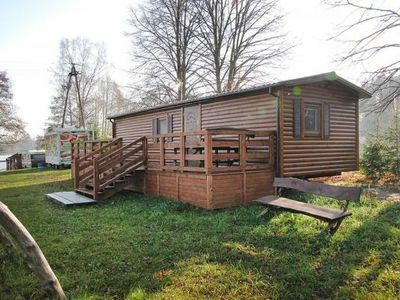 1 room 30 m2 with 2 beds (90 cm, length 200 cm), 1 double sofabed (130 cm, length 200 cm), shower/WC. Exit to the garden. 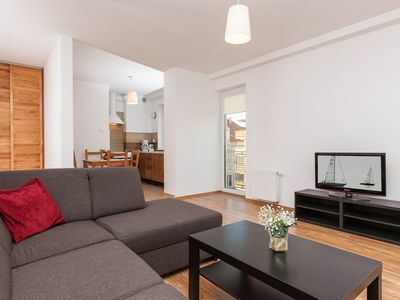 Large kitchen 25 m2 (oven, dishwasher, 4 ceramic glass hob hotplates, microwave, freezer, electric coffee machine). Sep. WC. 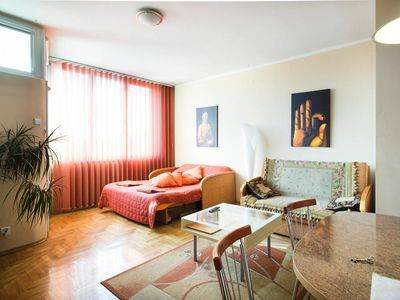 Upper floor: 1 room 20 m2 with 1 double sofabed (150 cm, length 220 cm), shower/WC. 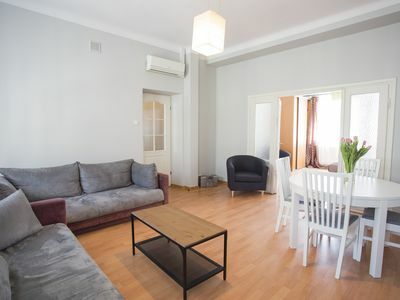 1 room 19 m2 with 1 double bed (200 cm, length 200 cm), shower/WC. 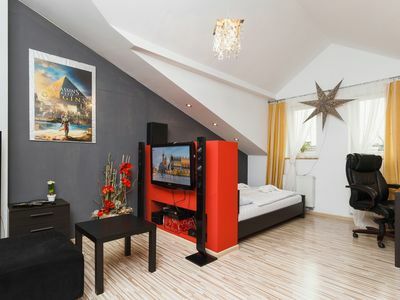 1 room 40 m2 with 2 double sofabeds (145 cm, length 200 cm) (130 cm, length 220 cm), bath/bidet/WC. Oil heating. 4 terraces. Terrace furniture, conservatory, box-room. Very beautiful panoramic view of the lake and the countryside. Facilities: washing machine, baby cot for up to 3 year olds. Internet (WiFi, free). Reserved parking. Please note: suitable for families. Non-smoking house. 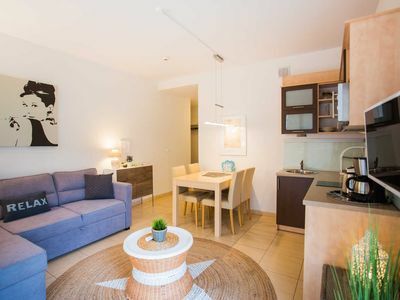 Studio Ekstaza It consists of 1 bedroom with open kitchen. 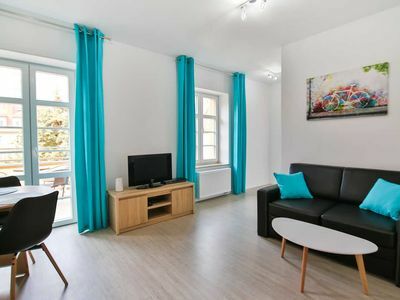 Ladislaus Jagiello apartment in Nowe Miasto with WiFi & air conditioning. 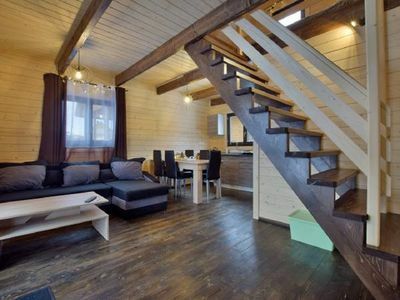 New, well equipped holiday house located 800 m from the sea. 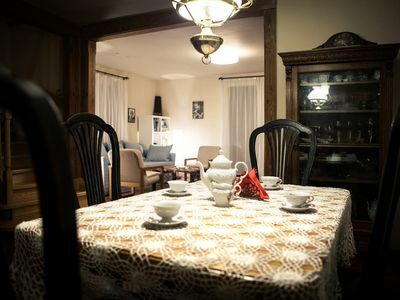 KrakowHouse - Cozy, with character. Comfortable up to 10 people.